Want to take your conditioning to the next level? A workout involving Tabata Push-Ups is a great way to challenge yourself. Named after the Japanese physician and researcher Dr. Izumi Tabata, a Tabata workout has a simple concept. You perform an exercise all-out for 20 seconds, rest for 10 and repeat for eight rounds, or four minutes total. This may seem like an easy workout—after all, four minutes isn’t a very long time—but be warned, Tabata workouts are not to be taken on by beginners. Going all out raises your heart rate immediately, and your body will struggle to keep up. If you are not well conditioned, you will have a difficult time making it through the entire four minutes. The good news is that Tabata workouts kick up your metabolism, which helps you burn fat well after the workout is done. Maintain form: You will struggle as your workout progresses, but be sure to focus on maintaining proper form throughout. When form breaks down, you lose what you have been working for and increase your risk of injury. Accept your limits: You may find yourself working hard to pump out reps late in the clock. You may view this as a failure, but rest assured it is not. Tabata works to break you down, so don’t worry about how many Push-Ups you actually do. Push-Ups. He or she can also provide encouragement and let you know if your form needs correcting. Count reps: One of the biggest mistakes people make when starting a Tabata workout is thinking they must crank out a certain number of reps. Aiming for reps puts you at a disadvantage. You may not reach your number, or you may reach it and take it easy the rest of the way. Focus solely on the clock and give your max effort for 20 seconds without worrying about reps.
Take it easy: You may be tempted to start or finish slowly to gradually warm up or cool down, but avoid this. You must give it everything you’ve got for the entire four minutes. Go all out from the start and get your results. A warm-up and cool down should be separate from your Tabata workout. Give up: You may be humbled your first few times doing this workout, but keep at it. The more that you do it, the better you will be. What may be difficult at the beginning will be easier at the end. 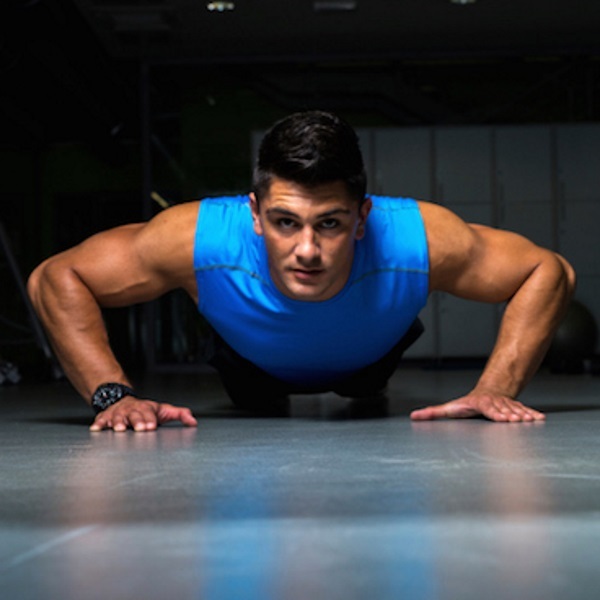 If you are new to Tabata, start with regular Push-Ups. If you are more experienced, add the other variations. Dr. Tabata had his initial group do workouts five times a week for six weeks, which is a good prescription for anyone.